India's overall automobile sales are likely to remain tepid in the first half of 2019-20, but the upcoming implementation of BS-VI emission norms will drive the demand in the second half of the year, according to India Ratings and Research (Ind-Ra). As per the ratings agency, the passenger vehicle (PV) segment, which has clocked a 4 per cent growth in the ten months of the ongoing fiscal, is expected to grow "moderately" next fiscal. The commercial vehicle (CV) segment, which has grown 23 per cent in the ten months of 2018-19, is expected to see high single-digit to low double-digit growth in 2019-20, Ind-Ra said in a statement. Two-wheelers are also poised for steady growth in the next fiscal, it said. The segment has grown by 8 per cent so far in the ongoing fiscal. Buying preponement on the expected price rise in 2020-21 due to the implementation of BS-VI norms, improvement in consumer sentiments along with new model and variant launches will be among the key growth drivers for the PV segment. For the CV segment, it said, continued uptick in industrial activity, road and infrastructure development, and the likelihood of liquidity of NBFCs will fuel demand. The rise in rural income and growing middle class population with increasing disposable income will be the key growth drivers for two-wheeler segement, along with a young population showing preference for premium products. 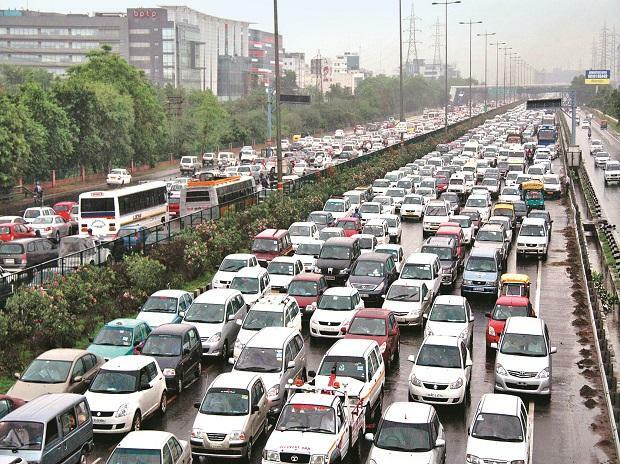 While maintaining a stable outlook for automobile sector, the ratings agency said BS-VI implementation from April 1, 2020 will make vehicles costlier across all segments. "As per industry estimates, the cost of petrol variant PVs and two-wheelers could increase 10-15 per cent and that of diesel variant by 20-25 per cent," it said. Due to this, Ind-Ra expects demand to pick pace in second half of 2019-20, although it is likely to remain tepid in the first half, it said. The agency further said credit ratings of most of the large players in its sample are set to be unaffected in 2019-20 despite capex plans in view of the ongoing regulatory changes, development of an electric vehicle platform and continued new product launches.